The communities of Boma and Jonglei states have agreed on silencing the guns in order to achieve permanent stability at the border areas. 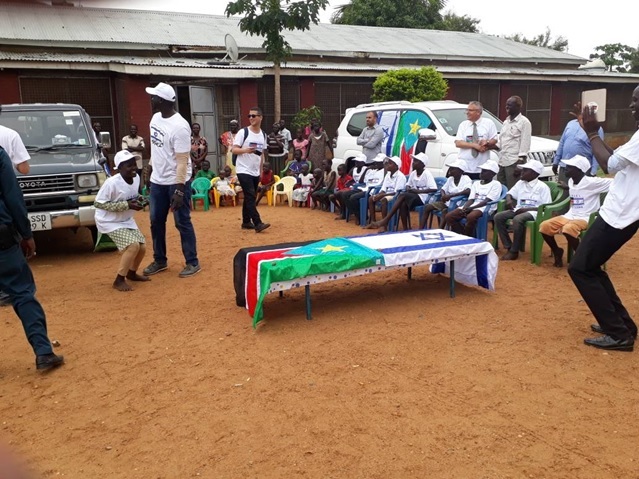 The two communities made the recommendation at Manyabol area of Boma State during a day session conducted by United Nations Mission in South Sudan (UNMISS) in collaboration with the Fin Church Aid and the two state governments over the weekend. Speaking to Juba Monitor yesterday, Natabo Abraham, Boma State Minister of local government said that the resolution was a follow-up of the series of the intra-peace dialogue conducted last year. He revealed that the chiefs and youth were willingly working together in engaging the local youth to attain durable peace at the grassroots level. “During the meeting, many resolutions were passed. Both communities of Boma and Jonglei have agreed to silence the guns at the borders,” Abraham said. According to the Minister, both communities had stressed the need to silence the guns among themselves. He said that after silencing the guns, there would be a joint disarmament to collect firearms at the hands civilians who possess them illegally. Mr. Abraham called for youth empowerment as soon as they begin to implement the agreement. “The youth should be empowered through many channels. There is need to develop their skills, develop strategies and vocational trainings,” Abraham said. Abraham urged the two communities to support what they have agreed for in order to ensure peace and stability for the interest of two states since they have had lots of understandings in the past. “A gun cannot just be silenced without commitment especially from the local people. So I want the communities to implement what they have agreed for. For us as the government we will be the first actors,” he stressed. Abraham affirmed that both Governor Philip Aguer of Jonglei and David Yau Yau of Boma were committed to promoting peaceful coexistence in their respective states despite the challenges. He encouraged all the citizens of the two states to support peace building activities which he said would help in nurturing and molding the upcoming generation in terms of peaceful coexistence. Isaac Mamer, Jonglei State Advisor on Peace and Reconciliation said that the communities have denounced violence and called for peace between the two sisterly states. “In that Conference, we have discussed a lot. People blamed each other. People finger pointed at each other and at the end all have agreed to work together as far as peace relation is concerned,” he said. Mamer said that the communities have also agreed to compensate those who had died during the attacks of the criminals. “Someone who was killed raiding some people’s cows cannot be compensated,” he said. The Conference was graced by the faith based leaders, both states delegation and United Nations Mission in South Sudan (UNMISS) Representatives. Boma government delegation was headed by Governor David Yau Yau accompanied by other officials while the Jonglei government was headed by the Jonglei state Advisor on peace and Reconciliation. A peace conference was meant to strengthen relations among the two communities and is expected to commence on 9th of this month at Anyidi area of Jonglei State.